Humble Dishwasher Breaks Down When Coworkers Reveal Epic Gift. The last thing anyone wants to experience at the end of a long work day is walking out to the parking lot to find your car stolen. Unfortunately, that’s exactly what happened to Kea. Kea is a longtime employee at the Lafayette, Louisiana restaurant Ruffino’s on the River and recently, his car was stolen from the parking lot during his shift. 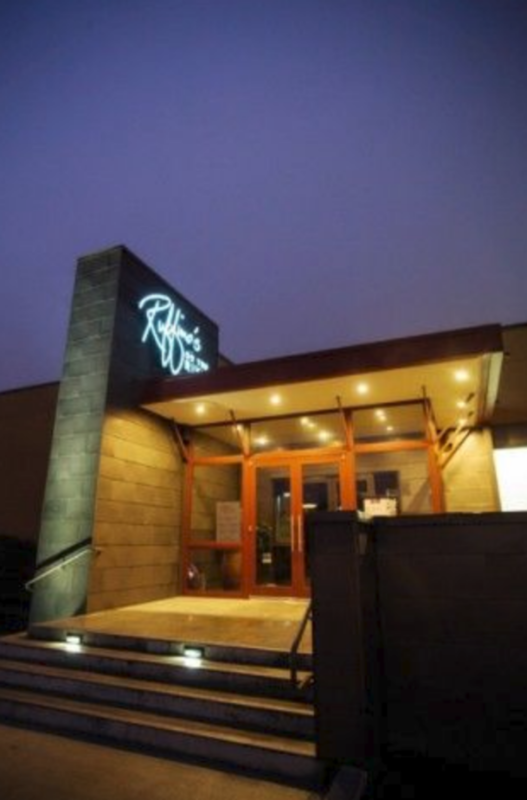 The restaurant’s owners and staff were shocked by the event – and decided to come together to help Kea out. 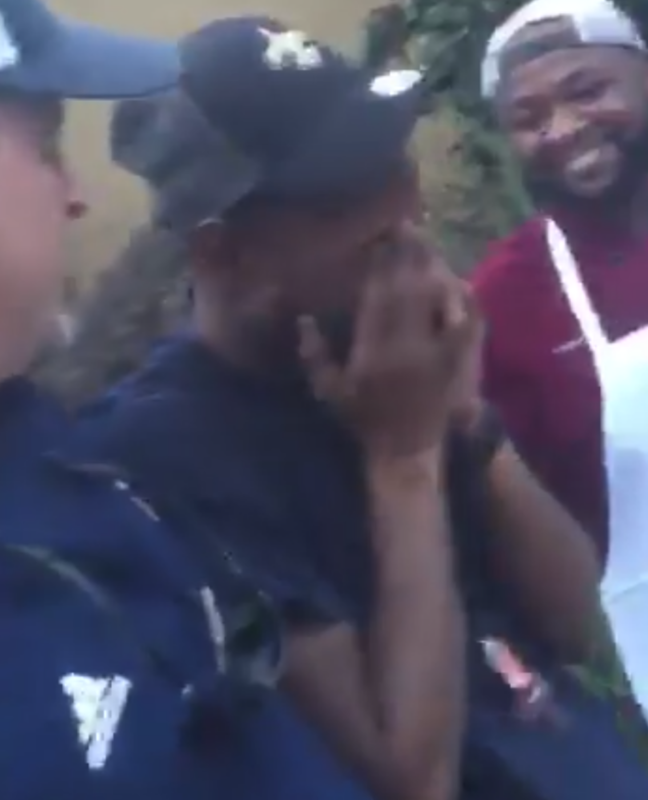 The restaurant’s manager, Chris Muffoletto, shared a video of the staff surprising Kea on his Facebook page. He said that the surprise was the most “touching” thing he’s experienced in his 30 years in the business, and expressed pride in his staff for coming together for one of their own. Then, the crowd parts to reveal a new car. 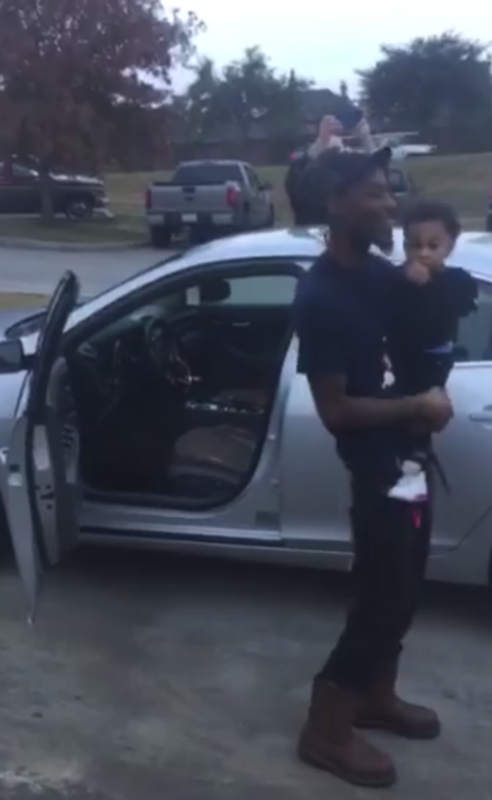 Kea is immediately overcome with emotions when he sees his surprise. 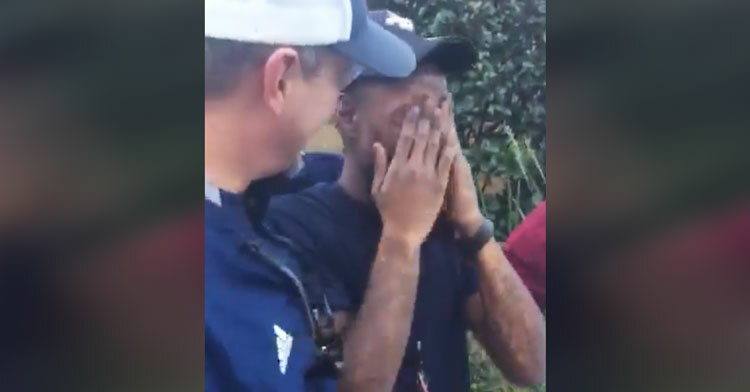 The crowd cheers as he wipes away tears and hugs his coworkers – thanking them for their unbelievable act of kindness. Kea not only had the support of his coworkers during this difficult time, but his community as well. 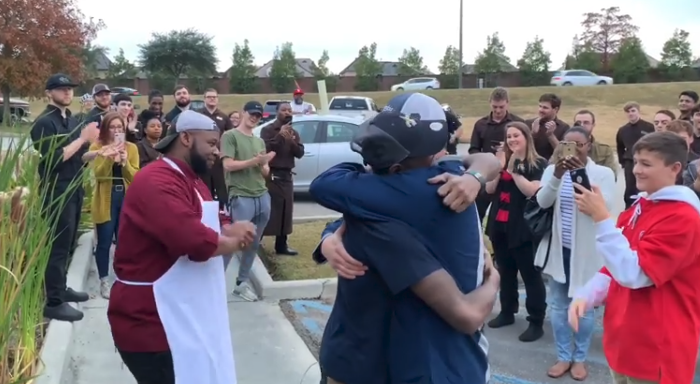 A local wholesale car dealership heard what the restaurant staff was trying to do and matched their donations – enabling them to gift him a new Chevrolet sedan. Watch the sweet surprise in the video below – and be sure to spread the love and share this act of generosity and kindness with your friends! Probably the most touching thing I’ve experienced in my 30 years in the business. Last week, our long time employee had his car stolen from the parking lot at Ruffino’s on the River. The staff decided that we had to do something, so we all pitched in and surprised Kea with a replacement. I can’t tell you how proud I am of our staff, their big hearts, and our family environment. A HUGE shout out to Don’s Wholesale Automotive. They heard what we were trying to do and matched the donations of our staff to put Kea and his young family in a reliable, beautiful car. Big thanks to Mr. Don and Dylan for your generosity and spirit of giving. You have customers for life!!! !